While I believe the facts support my assertions in this article, it is merely my opinion. It was inspired by this Tumblr post I saw this afternoon. There have been movies and books that paint Henry VIII’s relationship with Anne Boleyn as a grand romance, a story of passion between two people that ended in horrible tragedy. He fought to make Anne his wife for almost seven years, after all! But is the tale of Henry and Anne actually a love story? 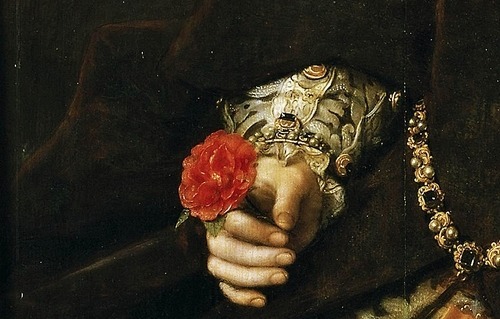 It is my opinion that Henry VIII was not capable of real love. He fits almost all of the clinical markers for dissocial personality disorder; or, to put it in colloquial terms, he was a sociopath. Anyone capable of real love would have been unable to do the horrific things that Henry did to the people in his life. 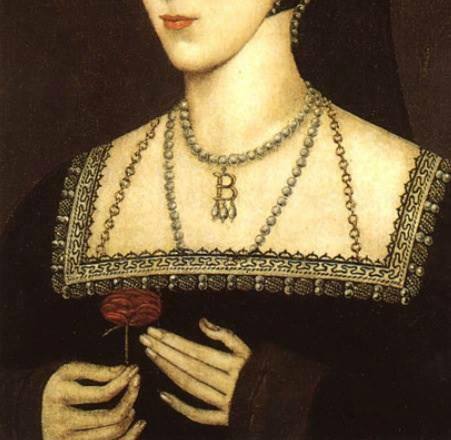 Henry first became interested in Anne Boleyn in late 1525 or early 1526. 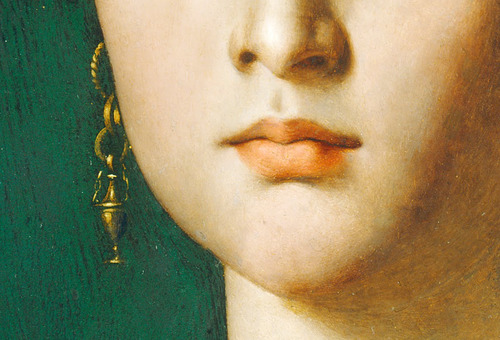 In 1525, Anne was eighteen years old , a “fresh and young damsel” as contemporary descriptions have it, with elegant charm and a vivacious personality. Henry wanted her as a mistress, but Anne refused. Despite her flirtatious nature, Anne was a deeply pious woman and would sleep with no man outside the bonds of matrimony. 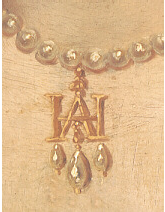 Usually, Henry gave up when his conquests refused, but he was fascinated by Anne. For over a year, he coaxed and cajoled her, but Anne managed the delicate balance of refusing his advances without offending him. In my opinion, his actions are more accurately described as sexual harassment instead of “courting” because the court was Anne’s workplace, he was the boss, and Anne was trying desperately to gently shake him off without endangering her career or that of her family. Henry may have been very much fascinated by Anne and infatuated with her, and he may have respected her intellect. He certainly spent a lot of effort on her. He wrote her love letters in his own hand, and he destroyed a thousand years of religious tradition to be with her, but I don’t believe it was the power of his love as much as it was the power of will that moved him. He wanted her – badly – and he wasn’t going to let anything stop him from having her, but obsession is not love. Obsession is a greedy, destructive thing – and indeed, it did end with Anne’s destruction. 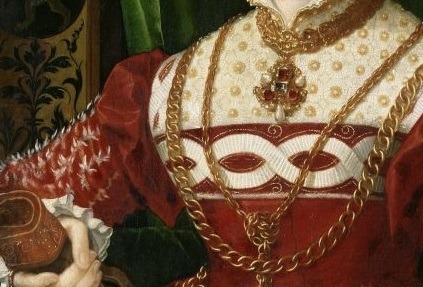 By 1527, Henry had decided that he wanted to divorce his now-infertile wife Katharine of Aragon and marry Anne Boleyn. Anne had little choice other than to accept his proposal. Her reputation was in tatters, and no other man would offer for her hand while the king was interested in her. 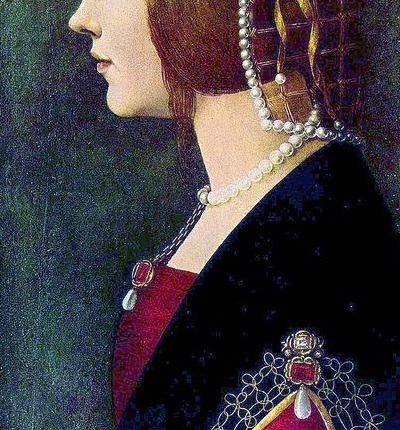 It was every noble-born girl’s duty to marry well to advance her family, but in this case, records indicate Anne’s father may have been a little reluctant for his daughter to marry the king. Maybe he could see the dark clouds gathering, but there was nothing he could do but obey the king’s will and support his daughter as best he could. 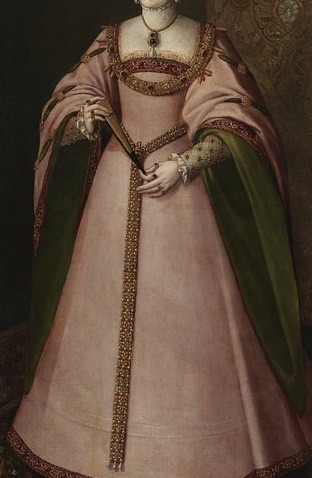 Henry probably thought the small matter of his annulment from Katharine would be concluded quickly, but it took seven years to end his marriage. What would keep Henry so determined for more than half a decade? 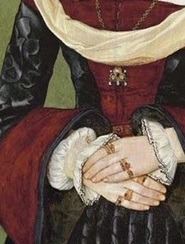 Various chroniclers have put it down to great skill on Anne’s part, because she “managed” to keep him interested in her – and some have hinted that Anne brought him sexual satisfaction without giving up her virginity in order to “keep him on the line.” Others have said it was the strength of Henry’s love for her that kept him dedicated to making her his bride. He told me plainly that he wanted nothing else than a declaration whether the marriage is valid or not,—he himself always presupposing its invalidity; and I believe that an angel descending from Heaven would be unable to persuade him otherwise. 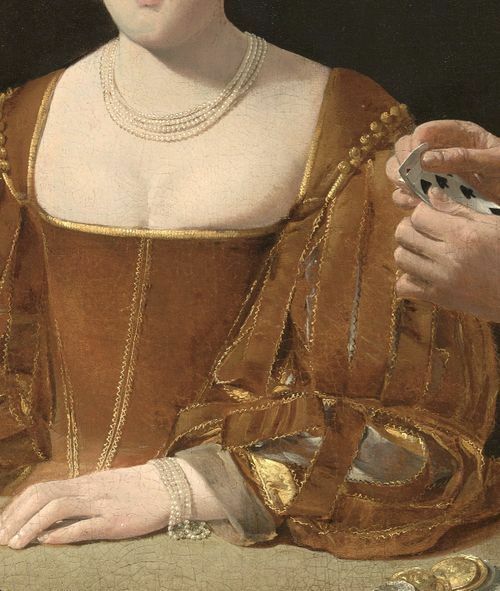 Likewise, once Henry had decided he wanted to make Anne queen, he stuck to that decision, and the opposition to the idea only made him more determined. He wasn’t going to go back on one of his positions because that would force him to admit he’d been wrong about something. It wasn’t really a matter of emotion as much as it was sheer stubbornness on Henry’s part. Henry truly believed that his desires and God’s will were one in the same. He was the kind of fellow who could say with a straight face that God’s will and his conscience were perfectly agreed, so if he wanted something, it was because God was steering him in that direction. Once Henry wanted Anne as his queen, God wanted Anne to be queen, and Henry was going to do anything and everything to accomplish the lord’s will. Anne, too, was convinced that it was God’s will that she become queen. She said that God was raising her to the throne to reform His church, and so she probably encouraged Henry in this line of thinking. It’s known that she gave him Tyndale’s works, with select passages she had marked with her fingernail, which taught that kings were God’s chosen representatives on earth, leading their nations according to God’s will. Henry really liked the idea. Henry also believed the prophecies of soothsayers that Anne would bear him a son. Anne was young and fertile, and came from a family of at least five children, three of which had been sons. When Anne became pregnant almost immediately after their marriage, Henry must have thought it was evidence that God was raining blessings down upon his union. If Henry and Anne’s relationship was a grand love affair, it soured very quickly after Henry finally held Anne in his arms. Within three years of their marriage, Henry hated her. Anne had not given Henry his promised son, and every one of the sparkling traits that had drawn Henry to Anne in the first place now annoyed him. Her intellect, her boldness, her determination to reform the church… (Anne wanted to use the money from the dissolved monasteries to found schools and Henry wanted to keep it for himself.) His infatuation with Anne had faded. He felt Anne hadn’t kept her promise and resentment began to grow in its place. Henry began a campaign of cruelty against her, rubbing it in her face that she had lost his favor. The Seymour family became the focus of the “opposition party” and Henry began heaping honors and gifts on them while making a point of snubbing Anne and her supporters. In late 1535 or early 1636, Henry decided God was telling him his marriage to Anne was invalid, and leading him toward the outwardly meek and submissive Jane Seymour. But he didn’t want to go through another long annulment battle, especially if it might bring up the pesky question of whether his first marriage had been valid. He knew he would have sons with Jane and he didn’t want their legitimacy questioned by anyone who thought his annulment from Anne was invalid. There was only one conclusion. 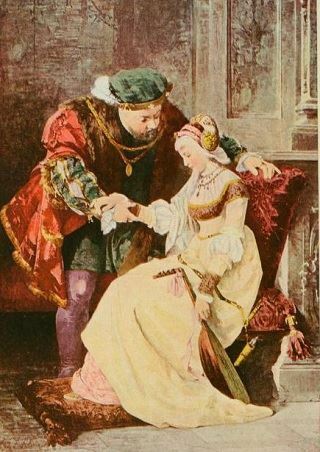 Some historians have painted Henry as though he may have believed the allegations against Anne, or that her licentious behavior made them believable. Neither is true. A casual glance at the dates of the indictment would have shown that in two-thirds of the cases, Anne had an iron-clad alibi and could not possibly have been guilty. (And this is just based on the scanty records that have survived.) Anne was carefully circumspect in her behavior because she knew her enemies were always watching for any impropriety on which to attack her. Cromwell later admitted to being the architect of the plot, but an architect doesn’t draw up a plan unless it’s been ordered. Henry spent hours in closeted meetings in the days before Anne was accused. Cromwell never would have acted unless it was what the king wanted. They came up with a plan that would take Anne and her supporters unaware and destroy her before anyone could mount a defense. Henry knew his wife and the men accused with her were innocent of the allegations. He simply didn’t care. Anne was now in the way of what he wanted, and she had to die. So did a man who had been his close friend for over twenty years. And a few others. It didn’t really matter to Henry. He exhibited no regret whatsoever. In fact, he was ostentatious in his celebrating, taking his barge up and down the Thames with torches blazing and musicians playing as he went to visit Jane Seymour. Even Ambassador Chapuys, who despised Anne and everything she stood for, thought it was in poor taste. This is not the behavior of someone capable of love or real friendship. While those with broken hearts will sometimes lash out in pain, they don’t kill half a dozen people they know are innocent of any crime. Henry’s actions were not those of a man with a broken heart – they were acts of deliberate cruelty by someone with little or no emotional attachment to the victims. The difference between how he behaved during Anne’s fall and when Katheryn Howard was accused is chilling. When Katheryn was arrested, he screamed and cried and mourned so bitterly that his council feared for him. Even months later, he could not bring himself to sign her death warrant. But with Anne he was “the most cheerful cuckold” that could be imagined, flaunting his indifference to her fate, and partying like a frat boy. Henry and Anne’s story isn’t romantic. It’s the story of a man pursuing an uninterested woman for a year before presenting her with an offer she literally couldn’t refuse, and then murdering her once he was tired of her.